I’m very aware that the Earth is super big (don’t even get me started on trying to comprehend how big the universe is) and the internet — while bringing us closer together in some ways — is also is a thing of hugeness with a never-ending maze of information and ideas. If you’re reading this, somehow, some way you’ve found your way to my teeny tiny little corner of the so-called world-wide-web, my blog. You may have even chosen a to find a way to stay abreast my latest posts — if that’s the case, I extend a very big ‘thank you’. However you found your way here, really, I say thank you. Writing this blog, sharing my family & crafty stories bring me a lot of joy. I love the exchange of inspiration and ideas that goes on here, I really do. As you may be aware, in addition to my work here on the blog, I also share on a couple different social media platforms. One of my favorites, Instagram, is making some changes behind the scenes that will monkey with whose photos get seen based on popularity and what-not. What a bummer! I don’t need to get into it because I get that everyone’s trying to make their money and I don’t begrudge anyone that nor do I propose that I know the best way for any app to work, but I thought I’d take this moment to just go over how & where I share on the different social media platforms — including a couple new spots. My hope here is that by letting you know what outlets I use and how I use them, that I can help you can find the easiest and best way to stay in touch & up to date with my latest posts. I post a lot of photos on Instagram — some I later use in stories here on the blog and some I don’t. Please feel free to turn on notifications for my posts should you not want to miss any. To do this, just click on the three dots in the upper right when you’re looking at my profile and select ‘Turn on Post Notifications’. Facebook is a platform I use to share new blog posts, so if you’re a Facebook user and want to see when I have a new post right in your Feed you can. I do interact regularly & promptly with comments, so please feel free to say hi! Twitter is an outlet I use solely to share new posts. I do not interact with comments here. I don’t have anything against Twitter, but I don’t have endless time and have to pick and choose where I’m active. Just sharing new blog posts here allows me to still let Twitter followers know when I’ve got a new post. I do my best to keep my knitting projects up to date on Ravelry and I’m working toward the same with my spinning although I’m not there yet. I’m very active in both the Friends on Knitting Sarah Group as well as the Three Waters Farm Group. I pop up from time to time in other groups, but these are my main haunts. I haven’t touched Periscope since before the holidays! This little live interactive app is so much fun, butlife got busy and my lack of a tripod for my phone was posing some technical difficulties. That said, I’m working on getting my equipment issues resolved (finally) and I’m hoping to start carving a little time out for it again soon. I’m new here! I noticed a bunch of Instagram friends migrating over and since I wanted to stay in touch I opened an account. For right now it will look a lot like what I post on Instagram, but I will continue to explore this platform. I’m not 100% sure the best way to share this one! I’ve been meaning to get a blog reader organized for well over a year and I’ve finally done it. My reading time comes in little snippets here and there, so I really needed a one-stop spot where I can kind of have my favorite blogs delivered or collected to help me stay up with them. I tested out a few different platforms and in the end I settled for Bloglovin’. I like the format and it really has helped me to keep up with my favorite blogs. If you’re looking for a similar blog roll/reader type platform, I’d recommend this one! If you’ve got any questions, please don’t hesitate to ask! Thanks for hanging with me through this post — I feel like considering what’s been happening in the different platforms that it was worth taking a little time to reacquaint you with where you can find me. And now we can all carry on, right?! Hopefully my latest FOs will be ready to share in the very near future — there’s a whole lot of drying, button sewing, and other random finishing happening at my house right now and I’ve got at least one more project on the cusp of being wrapped up. Keep your eyes peeled, I’ll be back shortly! That’s disappointing news about Instagram, it was my favorite form of social media besides blogs. I liked that it was mostly personal and lots of ads and overpromotion were easy enough to avoid. Sigh. I may have to check out this Ello business, but like you, my social media time is so limited so I kind of hate trying to find new things! My impression so that Ello is kind of like a Facebook-Instagram hybrid. Limited time is very much why I wrote this post. Partly so that everyone can easily find me, but also to be clear that there’s repetition within my social media and it’s more that that’s the only way I can have a presence on the different platforms. I don’t expect everyone to follow me everywhere – just pick the one(s) that work for you. I use IFTTT for a fair bit of my sharing – saves a lot of time! Keeping up with it all and continuing to post must be exhausting! How do you find time to knit and spin?! Thank you for sharing this information. 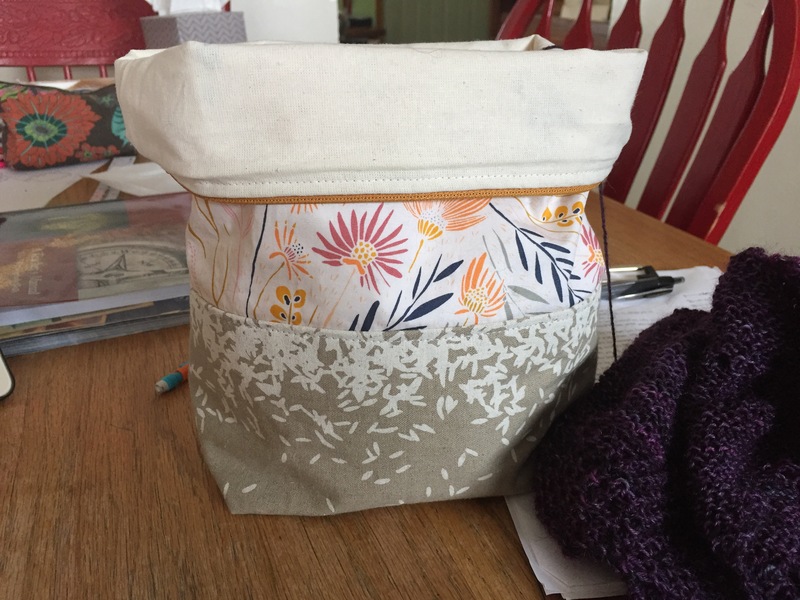 I am not very educated in the use of social media past Facebook, Pinterest and Ravelry, so I was thrilled to learn of some others that I might enjoy. You’re very welcome. I still haven’t done anything with Pinterest… I started an account long ago, stared at that rabbit hole and slowly walked away – lol! Thanks for sharing about Ello! I’ve been hearing about it from other people but didn’t know of any knitters that had made the move. Because of you, I decided to join. 🙂 I should look into how to share my stuff across platforms, some medias I completely ignore for days! I often wonder how some knitters can be so active on so many different social medias in a day and STILL get a lot of knitting done! I hope you don’t mind, but I like the idea of this post and would like to use it for a future post!